XP Classes Enrolling In April! 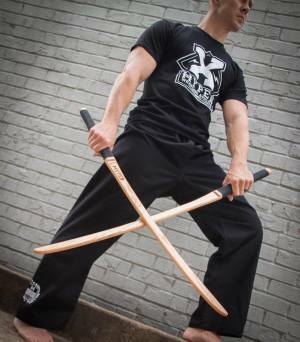 Tiger Rock Martial Arts is proud to offer our XP program teaching a high intensity tumbling and weapons curriculum that is sure to improve each student's confidence, athleticism and discipline. The XP curriculum combines traditional martial arts with elements of gymnastics, creating a high flying, martial arts with high jumps, flips, and twists. Our weapons program is offered as part of our XP curriculum. Not only with students learn basic weapon techniques, but they will learn complex moves and techniques that will make you fast and powerful.